The Night King doesn’t speak much. Well, he actually doesn’t speak at all. But the actor who’s played the powerful White Walker for last two seasons of “Game of Thrones” does, and he said that he’s coming for someone very specific when he leads the Army of the Dead in their invasion of Winterfell. Of course, actor Vladimir Furdik wouldn’t actually say who that someone is, so we’re all left to wait until “Game of Thrones” returns for its eighth and final season next month to find out. We wouldn’t blame Furdik if he held a grudge against Kit Harington’s former Night’s Watch Lord Commander. 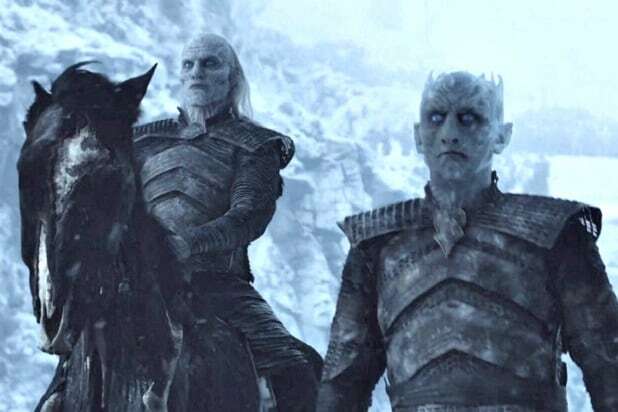 Before he took over the role of the Night King in Season 6 — Richard Blake initially played him in the season 5 “Hardhome” episode — Furdik played another White Walker in that fateful battle. And it just so happened to be the one that Jon Snow killed with his sword Longclaw, which shattered him into a million icy pieces. We’ll presumably find out who that special someone is during the heavily-anticipated “Battle of Winterfell,” when literally just about every major “Game of Thrones” character will face off against the White Walkers in what has been teased as the most impressive battle sequence in the history of TV or film. Furdik also added that the Night King is out for revenge this season. Read his full interview in Entertainment Weekly here.